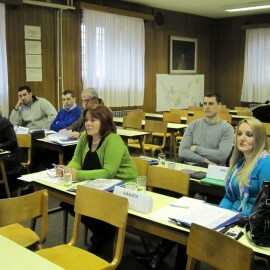 Association “Equal Opportunities” has collaborated on several projects with Centre for the Promotion of Science (Serbia), during the period June-December 2011. The project “Digital women entrepreneurs of Serbia” aims to contribute to employment opportunities and self employment of women, empowering them with new knowledge and skills necessary to actively join in the conduct of business, establishing their own business or seeking employment. Project is funded by the Department for Digital Agenda and it started in October 2011. Project: Production of National action plan for improving life of women and advancing gender equality, area: Participation of women in public life and politics. 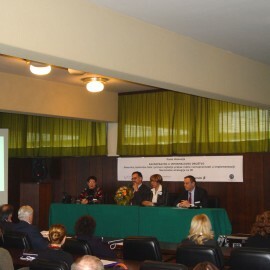 Project supported by UNDP and Ministry of Labour and Social Policy in 2009. Panel discussion “Gender Equality In Building Up Information Society – Guidelines, checklists and proposals for initiating of projects in the implementation process of NSIS in Serbia” was held on April 6, 2006 at the Faculty of Traffic and Transport Engineering in Belgrade.